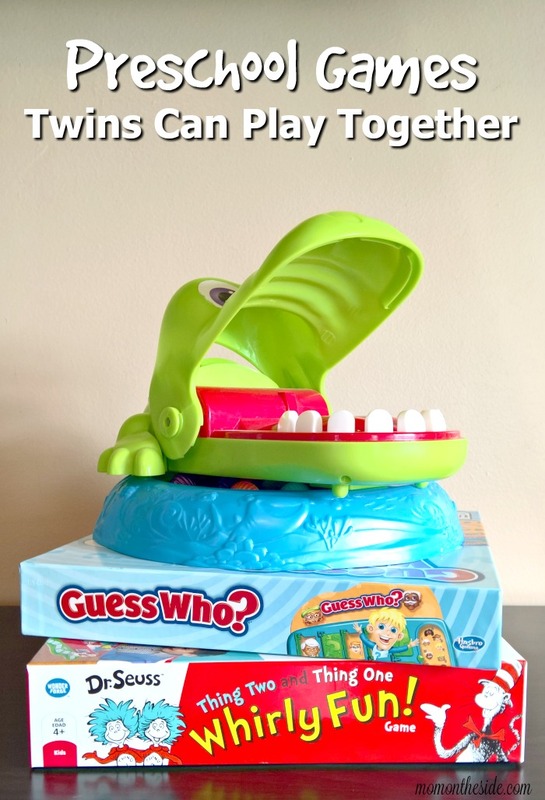 Preschool games twins can play together are wonderful to have on hand. They help twins learn skills like taking turns and working together. Plus, they can provide you with much needed time to get dinner ready, recharge, or simply go to the bathroom. 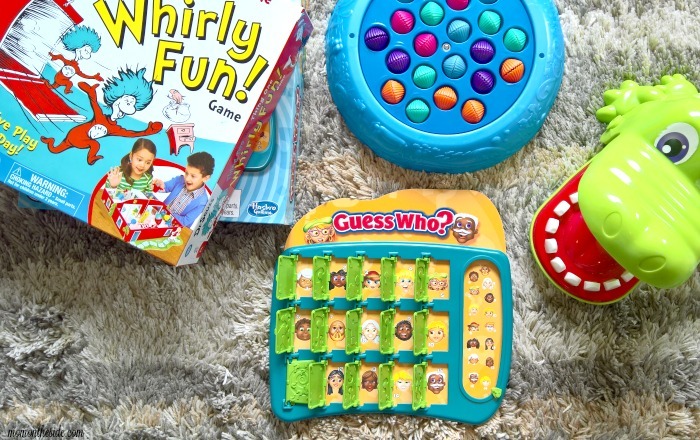 Most of these preschool games are games we currently play, or have played, with our children. 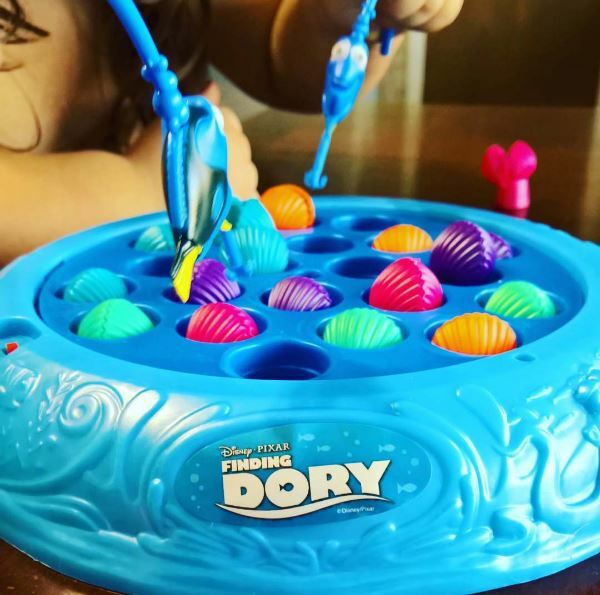 Finding Dory Fishing Game: My twins play this several times a week and it includes two fishing rods so they can play together. 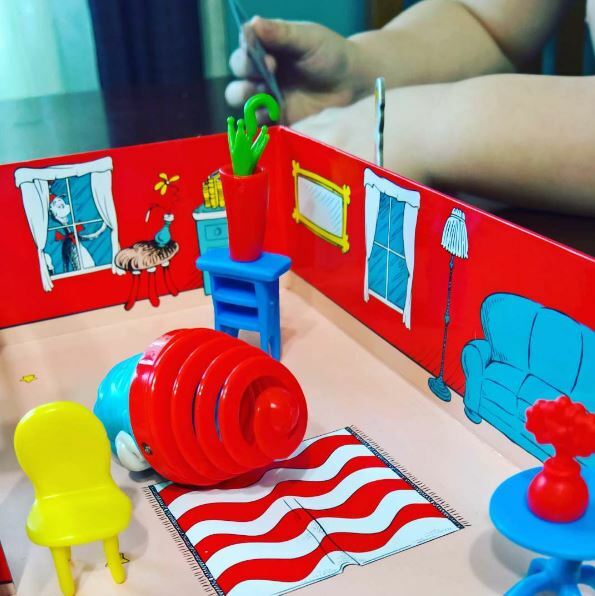 Dr. Seuss Thing Two Thing One Whirly Fun Game: This game is a favorite in our house! Probably because they get to make a mess, but they also enjoy cleaning up before mom gets home. Guess Who? : This is a recent addition to our family game nights with the twins. They are still getting the hang of it, but it’s way easier for them than the version we played as kids. I’m sure I will have more to add to the list as the year goes on so check back later if you need to add new games into the rotation! What preschool games do your twins love to play together?